Body of a Dancer centers on author Renée D’Aoust’s time as a student at the Martha Graham studio in New York City. While D’Aoust had significant dance experience prior to winning a scholarship at this prestigious studio, her move to the City provided new challenges in her dancing. The severe, competitive, and often disheartening New York dance scene is rich subject matter for this page-turning book of essays. Far from an exercise in narcissism, many of the essays are portraits of other dancers, and sometimes peripheral individuals. The first half of the book is deeply distressing, with essays that delve into the “twisting [of] love of movement into dedicated self- loathing ” that D’Aoust writes of on the first page. For example, an exploration of a colleague’s suicide leaves the reader terribly sad and seeking understanding, while at the same time indicating that the author understood the lure of death, if not the particular circumstance. Several such heartrending essays are interspersed with darkly funny pieces, such as a description of an off-kilter Freudian psychiatrist who overpays dancers to sort her mail. As the book progresses, the essays become somewhat less fraught. A piece about Ted, who carries his four-by-four linoleum matt with him everywhere and dances in public whenever inspiration strikes, captures the passion that motivates dancers without the sting. Then D’Aoust describes a ballet workshop on the lush Bainbridge Island in Washington State, where she is able to release some of the tension from her harsh lifestyle. The last two essays jump forward in time: D’Aoust has given up dance and struggles to confront that decision, with pangs of loss. Ten years after leaving the Martha Graham studio, she attends a dance program and finds herself conflicted. Later she writes, “I still dance during the night, in my dreams. Often I don’t remember the steps. More frequently, I make them up . . . Slowly, I walk off the stage . . . And my life begins” (143). Then in her final essay she describes a trip to Paris to attend a friend’s wedding. There she is reunited with several other friends, most of whom are now professional dancers. While D’Aoust struggles with feeling fat and unaccomplished, she takes joy in her friend’s happiness when they go on a shopping trip before the wedding. This book is at once relatable and yet very specific to the life of a dancer, with the elements of joy and grief captured in brief vignettes. D’Aoust describes these feelings in heartbreaking passages, showing that we all dream of a big life though few of us are willing to face the pain required. Specific details strewn throughout her book demonstrate these facts, such as blood on a studio floor and the unremitting aches and pains of pushing her limits. The writing is at times taut and compact, and at others a stream of consciousness exploration of sensation. Her voice is honest and vulnerable, aware of contradictions and limitations. However, neither the poetic language nor the examinations of emotion overshadow the narrative pull. 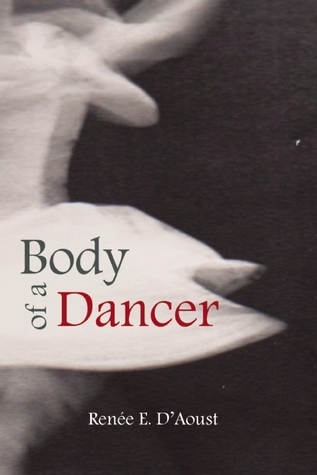 Each essay is crafted to draw the reader in and reveal more about the inner world of a dancer. Body of a Dancer is an intense exploration into one woman’s experience, as well as the New York dance scene circa 1993. Written for adults, the book will also speak to girls in their late teens, who will benefit from the book’s themes of body image and coming to terms with their dreams. This book is recommended for public libraries, academic libraries that collect literature by Idaho authors or have MFA writing and/or dance programs, as well as high school libraries. Renée D’Aoust trained and performed with the Pacific Northwest Ballet and the Martha Graham Center for Contemporary Dance. She has received grants and awards for writing from several sources, including the Idaho Commission for the Arts and has been published in a number of journals. D’Aoust teaches for the English department at North Idaho College and manages her family’s forestland. Ellie Dworak is a reference and instruction librarian at Boise State University.